Death Metal Underground: Black Sabbath announce US tourdates for new album "13"
Seminal heavy metal band Black Sabbath has released the first single from their upcoming album, 13. Entitled “God Is Dead?”, it features 3/4 of the iconic Sabbath lineup. 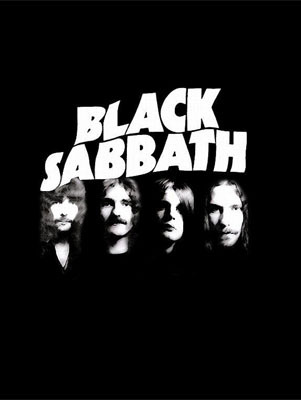 While still possessing the distinctive Sabbath sound, it is clear that this is a song produced in the commercial hard rock vein, rather than a unique artistic statement as was their original work. Even done relatively well, it’s not the Sabbath of lore and must be viewed in a different light than the original era. Forty-three years after the band’s debut, it is not unexpected that they might alter their sound somewhat. Releasing their debut self-titled album in 1970, Black Sabbath were the first “proto-metal” band in that they used the movable form of the power chord to make riffs that slid down the fretboard and thus encouraged songwriting with longer phrases, more atmosphere and a more flexible rhythmic attack than the rock music of the day. Distinguishing themselves with a number of chart-toppers as well as an audience who craved more, Black Sabbath kicked off the metal genre which quickly differentiated itself from rock and became a subcultural movement in its own right. How much Black Sabbath must be posted on Deathmetal.org today? I though Is God Dead? was great, but man does Painkiller blow. I’m not certain it’s a Sabbath track – it doesn’t appear on the album tracklist and the guitar track doesn’t sound like Iommi, more like an Ozzy solo song. It seems you are right, thankfully. For a minute I thought Sabbath had gone modern metal on me! The new Sabbath track hasn’t floored me. It sounds like what you would expect Sabbath to sound like if they decided to make something to make their audience happy. Then you add the Christian propaganda lyrics and I’m having trouble listening to it. I thought the solo was an unusual take on the blues. Reminded me of Kirk Hammet actually.